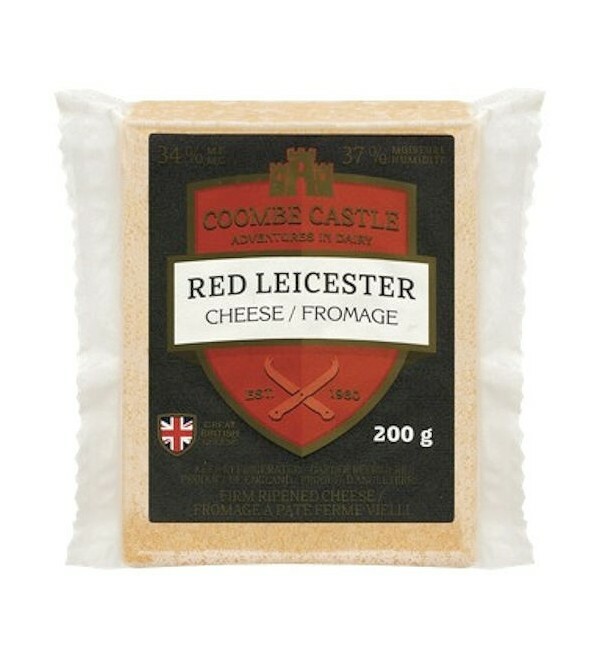 Coombe Castle Red Leicester Cheese. Imported from England. This product must be kept refrigerated or frozen and is not able to be shipped. If you wish to place an online order, you must be willing to pick up your entire order at our retail store. 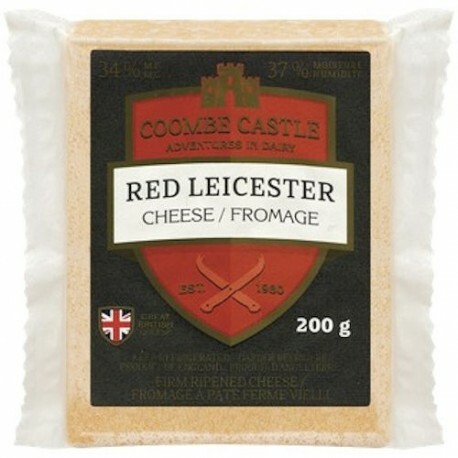 Coombe Castle Red Leicester Cheese. A long, long time ago in the 18th century Red Leicester was originally made on farms in the county Leicestershire, using surplus milk once all the Blue Stilton had been made. Orange/red in colour, the cheese was given this golden hue with the addition of carrot or beet juice but is now coloured with annatto a natural food colouring from seeds. Red Leicester used to be called Leicestershire Cheese, after the county in which it was originally made, but was renamed Red Leicester in 1940 to distinguish it from White Leicester which was made to a national recipe under wartime controls during the 1st world war. Imported from England.